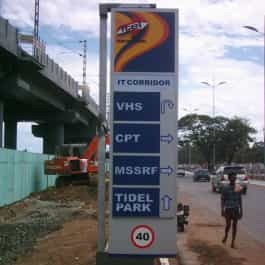 Pylon is the Greek term for a monumental gateway of an Egyptian technique. 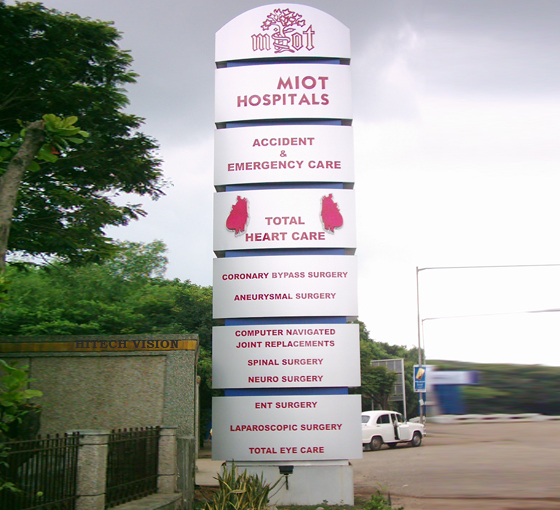 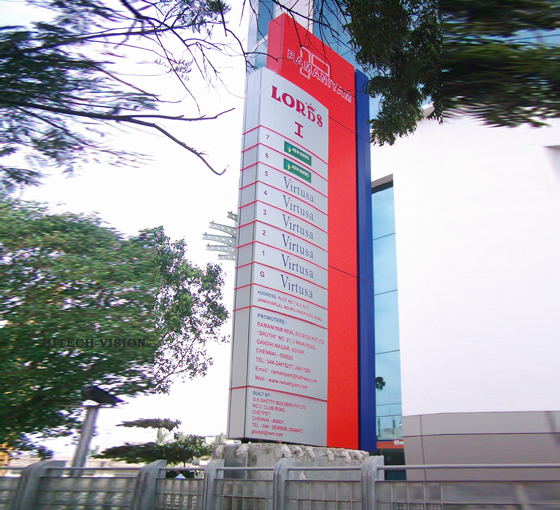 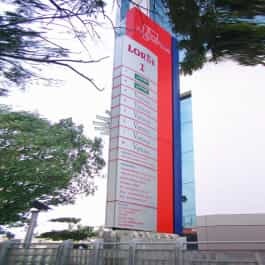 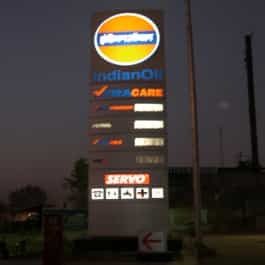 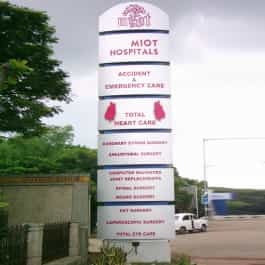 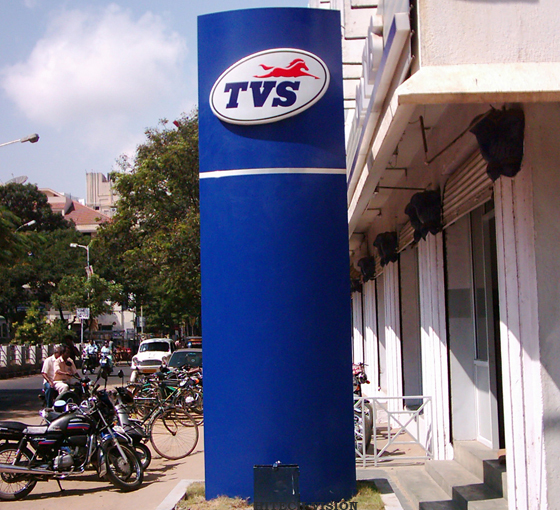 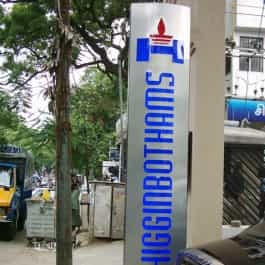 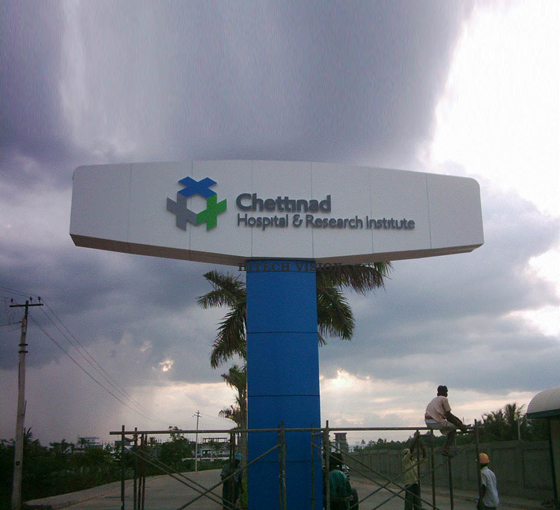 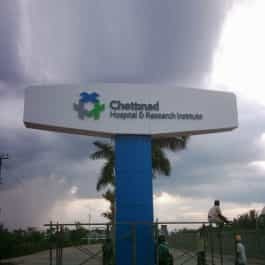 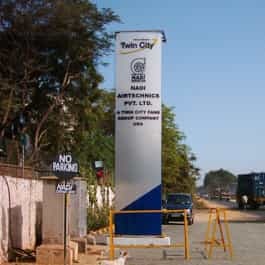 In signages Pylon are generally used for the customer premises has a set back from the road, acts as a prominent structure to identify and set apart the property. 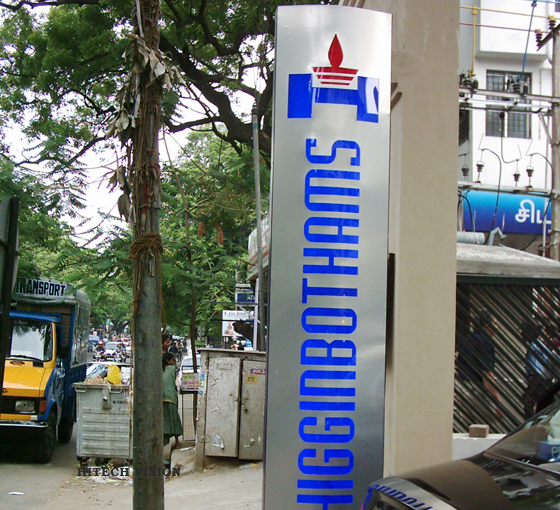 Hitech Vision offers pylons cladded with CNC routed aluminium composite panel and can be offered as backlit or nonlit options. 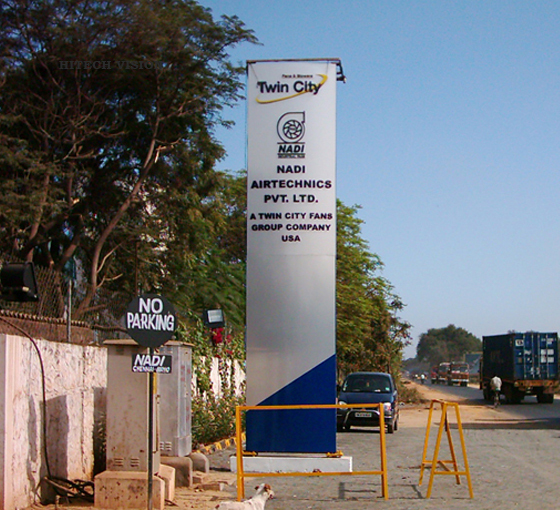 Unipole sign is basically a signboard or billboard mounted on top of a single steel pole or column. 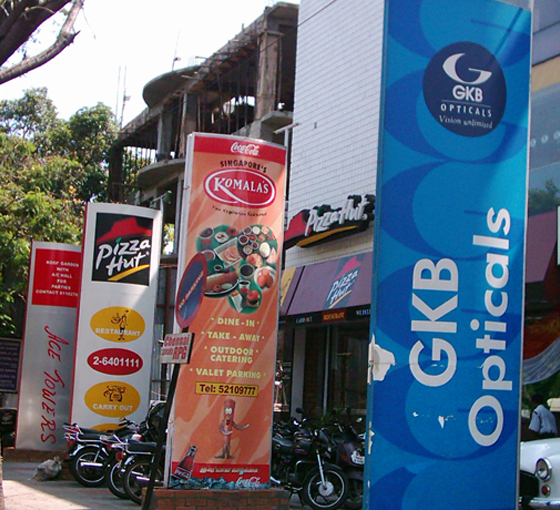 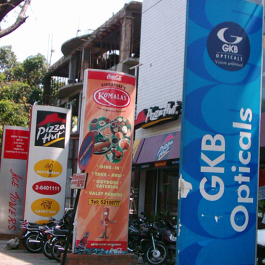 Its effectively is enhanced by the fact that the signboard or billboard can be seen for a long distance. 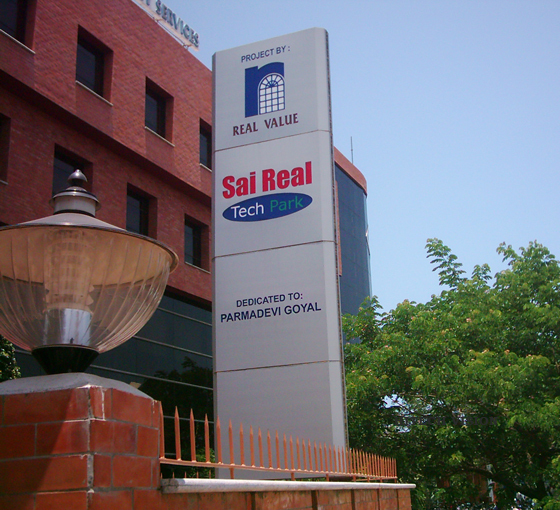 Unipole signboards are offered either as a backlit box or frontlit. 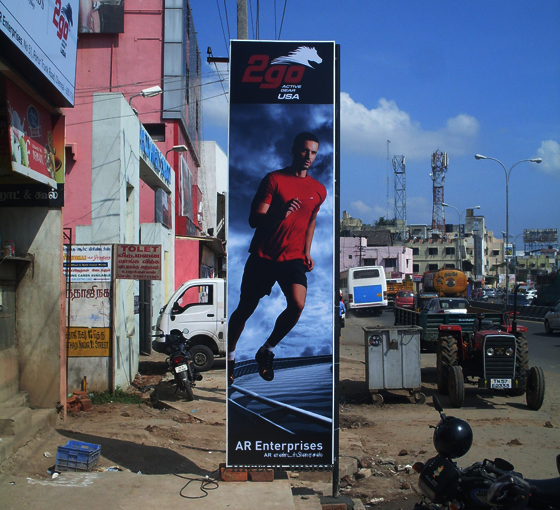 Unipoles are generally about 30’ to 4o’ Height. 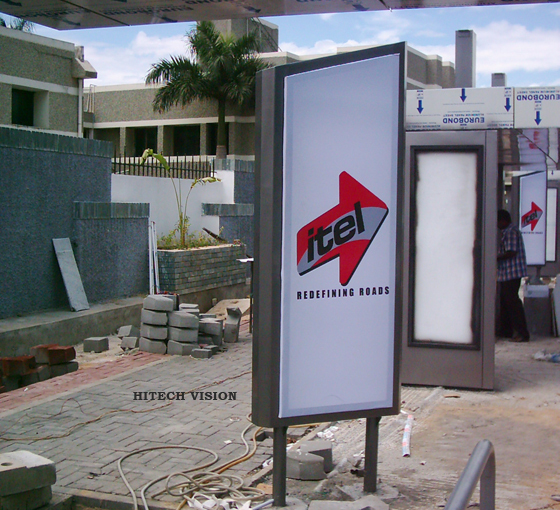 Hitech Vision has years of experience offering the best of Pylons and Unipoles . 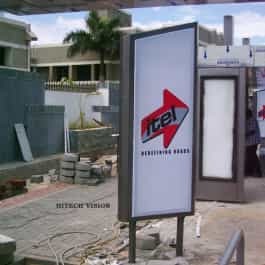 Hitech Vision helps in properly positively their Pylons and billboards along with unique and dishumitive design. 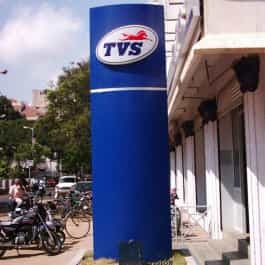 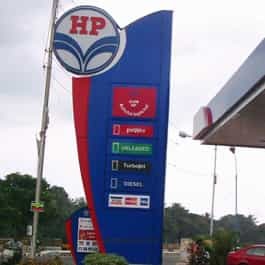 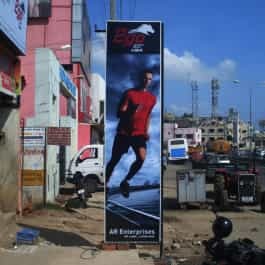 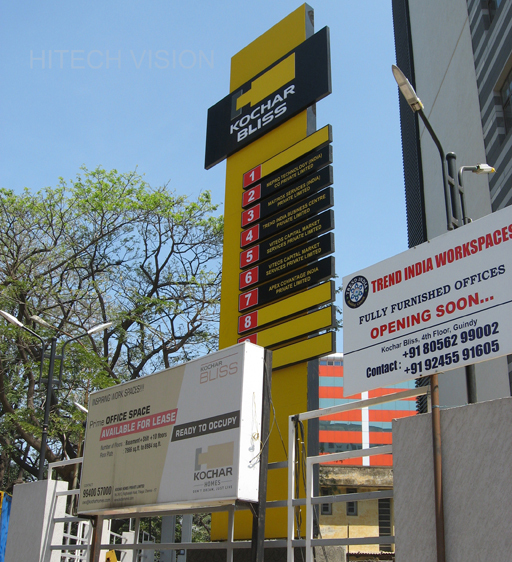 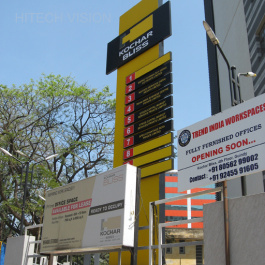 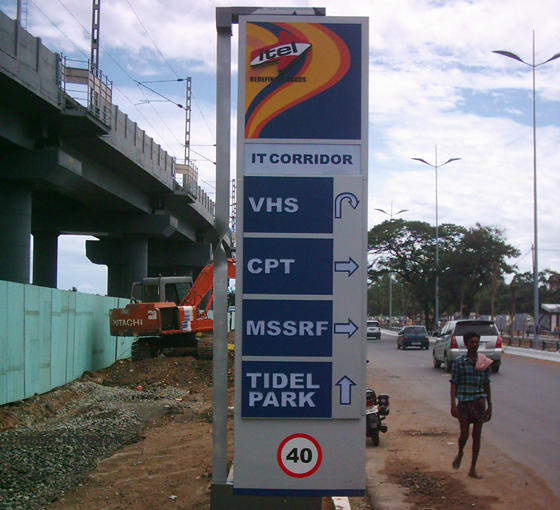 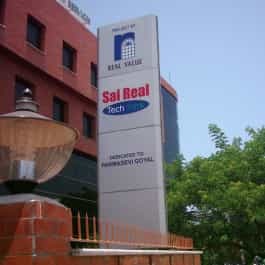 Hitech Vision offers the best Pylon & Unipole in Chennai for Corporate Identity Programs (CID), Petrol stations, Banks, IT Parks, Multiplex theatres, Shopping Malls, Industrial Parts, Retail outlets, Restaurant.